"In a 2009 report from the Philippine Global Adult Survey, there are an estimated 17.3 million Filipinos ages 15 and older who are tobacco users". A few months ago, the Republic Act 10351 also known as the Sin Tax Law has been passed with the purposes of increasing the revenues needed by the government to support and upgrade the public health sector especially the hospital and other healthcare related services and lessening the incidence of smoke related illnesses and death. This was signed and passed by the bicameral committee last year and took effect January of this year. Smoking has been a big issue and problem for many Filipinos and even around the world with many people becoming troubled with the health-related risks associated with this. With the recent passing of this law many of these smokers shifted to cheaper brands instead of lessening their consumption of this cheap but deadly vice. Smoking Statistics Fact Sheet - Philippines (World Health Organization, 2002). · About 60% of men smoke. · A recent survey of Filipino adult smokers found 99.8% cited tobacco advertisements as one factor for initiating smoking. · More than half of Filipino households are not smoke-free. · As many as 40% of adolescents boys smoke; most began in their early teens. Another 6% were former smokers. The majority of these young smokers said peer pressure was one reason why they took up smoking. Most now wish they did not smoke and about two-thirds have tried to give up. · There are no national laws prohibiting minors from buying cigarettes. · About 200,000 Filipino men will develop smoking-related diseases in their productive years of age. It was estimated in 1999, that to provide healthcare for these sick men, and the loss in productivity, cost Filipino taxpayers some P43 billion. · Every year, there are about 20,000 smoking-related deaths in the country. · Tobacco use will drain nearly 20% of the household income of smokers' families. · Many vendors of cigarettes are children. How much does an average cigarette cost in current sin tax prices? In my recent survey and visit with local supermarkets, convenience stores and nearby family retail stores, a pack of cigarettes cost around PhP 40.00 to PhP 50.00 depending on the Brand and a ream of cigarettes (10 packs) cost an average of PhP 450.00 to PhP 500.00. A stick of cigarettes (per Tingi) cost about an average of PhP 3.00 to PhP 5.00 per stick from previous of PhP 0.50 to PhP 1.00 per stick old pre-Sin tax prices. The cheapest brand sold by a street vendor is around P 1.00. Let's set an example, Juan is a 29 year old man, a chain smoker and a family man. He consumes a ream of cigarettes (10 packs bundle) for a month with current sin tax law prices at PhP 450.00 multiplied by 52 weeks in a year is about PhP 23,400.00 in a year. Let say his annual salary minus taxes is about PhP 155,000.00 in a year. He spends about an average of PhP 25,000.00. "Tobacco use will drain nearly 20% of the household income of smokers' families". That PhP 23,400.00 of money could be used in financing a capital for a small business, get a child to good school or allocate the money through other investment instruments available in the market such us a mutual fund or a unit investment trust fund or engage in stock trading and others. In the Global Adult Tobacco Survery (GATS) 2009, 10.6 is average number of cigarettes smoked per day by cigarette smokers in the Philippines. However, the recent industry estimates shows that the consumption have increased at 14.13 sticks of cigarette per smoker in the second quarter of this year. It rose from 13.53 per smoker on the first quarter of this year making a 0.6% increase. Medical / scientific studies shows that there are an estimated number of 60 known carcinogens and 4,000 chemical agents that are harmful to us that is found inside a single piece of cigarette being lit and smoked. Second hand smoke is more harmful to non-smokers especially pregnant women, children or people with asthma. 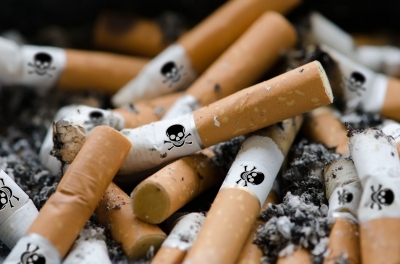 71% Percentage of lung cancer deaths in the world that can be attributed to tobacco. "The government spends PhP 177 Billion an estimated annual cost of the four leading smoking-related diseases — cancer, heart attack, stroke and chronic obstructive pulmonary disease (COPD)". It is ironic how the government is spending billions of pesos for healthcare of people afflicted with such illness and it only makes a few billion pesos on the taxes collected in tobacco products. On hindsight, you will be paying more on your medical and dental bills and even in your insurance premiums if you are a smoker. The passing of Republic Act 9211: Tobacco Regulation Act of 2003 brought about enforcement of this law by local government agency in which they have adapted these laws in implementing its rules and regulation through local ordinances imposed by the local government officials in their respective cities or town. The City of Makati is one of those who spearheaded no smoking policy on business establishments. People caught were imposed with fines. Metro Manila Development Authority (MMDA) has deputized environment officer in order to impose this law and apprehend violators with a hefty fine. Other Local Government Units are following suit in of protecting the people, children and the environment from the dangers of smoking. Government offices through Civil Service Commission released Memorandum Circular No. 17 reiterating its commitment to have a 100% smoke-free bureaucracy. Then in 2010, the Civil Service Commission and Department of Health (DOH) issued a first-of-its-kind joint memorandum circular known as the Joint DOH and CSC MC 2010-01 on the “Protection of the Bureaucracy Against Tobacco Industry Intervention” which, among other measures, provides specific guidelines for interactions with the tobacco industry. Some private companies are also imposing smoking bans in workplaces because smoking can hurt your job prospects in which some companies would entirely removed smokers from their work or let go of employees who would NOT kick the habit. Influences through adult models, peers, the media and society where child is exposed daily are another factor where smoking is becoming normal for him/her. We know that children see what adults do through observational learning. It is a way which kids learn this vice. These factors make them vulnerable to smoking when they reach the adolescent age or beyond those years. Smoking is a hard habit to break if you are addicted to it. If you are determined and motivated in quitting this you should have a clear reason why you are going to do this. May it be for your family, your well-being, self-control or your financial reasons? Kicking the habit tremendously help you mentally and physically. Never lose focus. Remember that eleven (11) minutes of your life is wasted with a cigarette you smoke. Chances are if you quit you could still live longer and see yourself and your family grow, breathe clearer (no more coughing or hacking up phlegm or the undesirable odor), restore and rejuvenate yourself and live better. CRB Benedict Baluyut, is a certified real estate professional (Real Estate Broker) a regular member of Registered Financial Planner - Philippines. 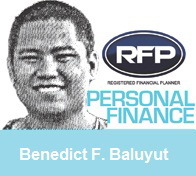 He writes from time to time with Registered Financial Planner Column at Business Mirror. Catch his Facebook page Pinoymoneyvantage | Follow him at Twitter | Google + or visit his official blog at http://www.pinoymoneyvantage.net. Still Have No Money? : A Short Overview of Personal Finance. Exploring the world of Sports in Badminton.